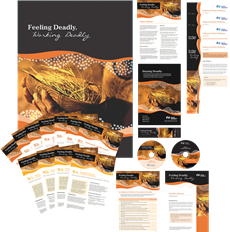 The kit is designed to reduce stress and increase the wellbeing of Indigenous AOD workers. It's intended audience are Indigenous workers, as well as managers and supervisors and organisations. Handbook for preventing stress and burnout "Staying deadly"
... and more supporting resources.